(Host) All signs are pointing to a booming deer population this year in Vermont and New Hampshire, given the mild winter with little snow. Kent Gustafson of the New Hampshire Fish and Game Department says when deer are confined in deep-snow areas for a long time, they use more energy to stay warm, which leaves them more vulnerable to predators. Gustafson tells the Eagle Times that if current weather conditions continue, deer will come out in better physical shape, which can lead to an increase in reproduction in the spring. He predicts the overall survival rate for deer will be above average this year. 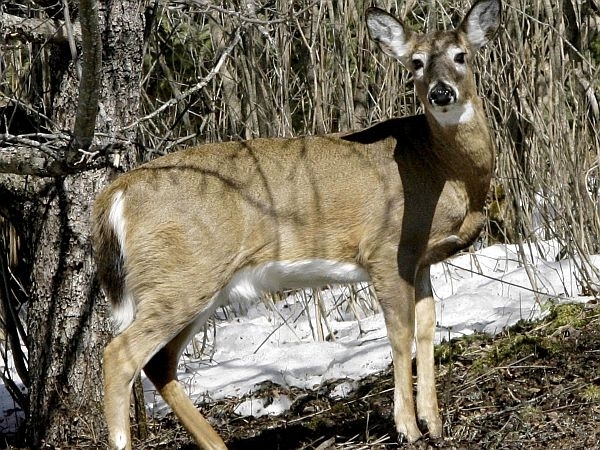 A Vermont Fish and Wildlife Department biologist says if it’s a less severe winter, more "antlerless" permits will be given out for doe hunting season.